Supply chain control towers have risen in response to a very real problem and an urgent need. How well are control towers meeting that need? Why the interest in supply chain control towers? One reason control towers are popular is that in an effort to control costs, companies are sourcing supplies and manufacturing from around the world. This specialization and competition has been a good thing, and reduced the cost of goods dramatically. However it has stretched supply chains and introduced new problems, such as increased risk, longer logistics lead time and dealing with import and export regulations. At the same time, supply chains are not only longer, they’re more complex, with more companies involved in the production, distribution and selling of products. All this has to be managed and coordinated. This is a huge problem given that most companies run operations on different systems. Consequently, data is isolated in corporate “silos,” and duplicated and distributed across organizations in the supply chain. As a result data is often difficult to access and share, and when it is shared, it is usually stale. A supply chain control tower is a central hub with the required technology, organization, and processes to capture and use supply chain data to provide enhanced visibility for short and long term decision making that is aligned with strategic objectives. We can call this Control Tower 1.0 and it provides valuable but limited functionality. It gives visibility to conditions and alerts across the entire supply chain and serves as a single console for overseeing and managing the supply chain. Control towers have evolved rapidly, and in recent years have come to include alerts and decision-support capability. We can call this Control Tower 2.0. The goal is to make control towers more than mere onlookers but to provide data and tools, such as predictive and prescriptive analytics, that can help supply chain managers respond to shifts in demand and supply more effectively. This evolution to Control Tower 2.0 is a big improvement, offering visibility across the extended supply chain, and analytics to help cope with issues as they arise. Many of these problems stem from the underlying technology. 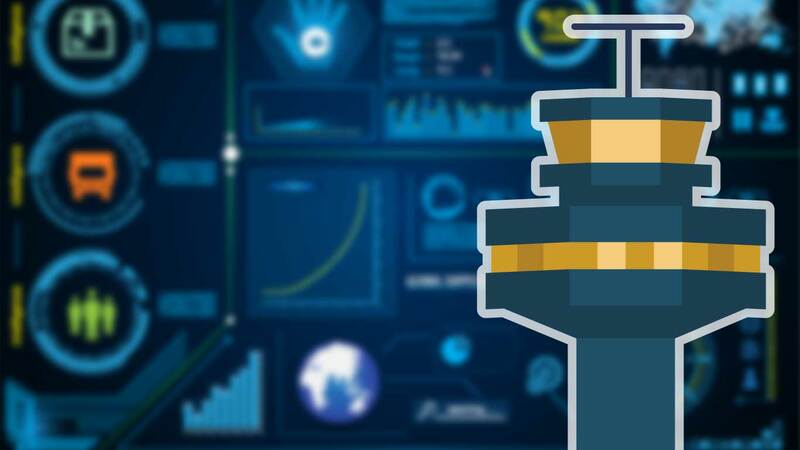 Most control tower solutions are built on enterprise-centric technology, the very technology that contributed to the disconnected supply chain in the first place. How can the very technology that contributed to the problem be expected to solve the problem? How do we build a better control tower? All the problems above have to be addressed. It is possible and it has been done. The latest control towers are built on new technology and are delivering some surprising results. These new control towers will be discussed by guest host Seth Lippincott of Nucleus Research and Dr. Adeel Najmi of One Network on the webinar Inside Control Tower 4.0 on April 6th. They will explain the four stages of control tower maturity and will be taking an in depth look at the evolution, the technology, and the benefits of today’s advanced control towers. This will be a lively discussion between two experts, so bring questions and get answers. Save your seat now and attend live and get the recording. Supply chain control towers have risen in response to a very real problem and an urgent need. How well are control towers meeting that need? This article looks at some of the advantages and disadvantages of traditional Control Tower 1.0 and 2.0.